This Black Wet Suit material is the very first model we produced back some 25 odd years ago. Super soft on the face and tough in any environment. 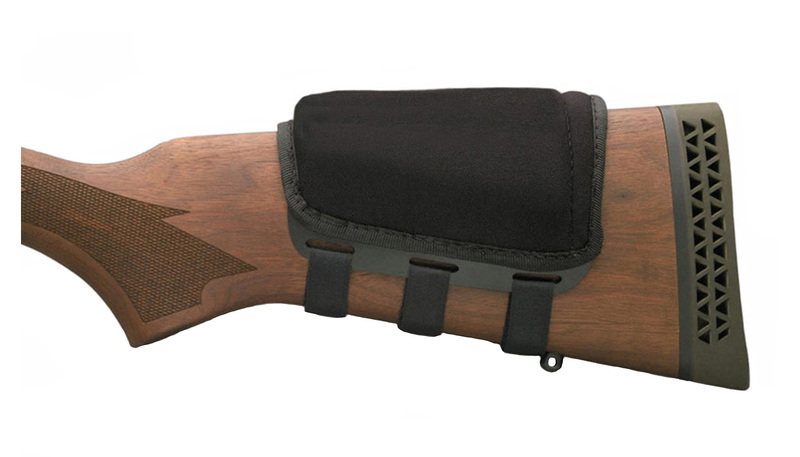 Another great complement to any rifle stock that requires some extra comb height. Just received the cheekrest you sent on the 26th of Feb. Thank you for doing this for me. I will be ordering more products from you soon. Like I said before, if the first one ever does show up, I will send you the money for it. Great product! Fits my Remington stock like it was made for it.